Amer Al-Khoudari, MD, FACR, provides comprehensive care for rheumatologic conditions at his practice, Arizona Arthritis Clinic, PLLC. Patients living in and around Chandler, Arizona, benefit from his extensive experience and dedication to helping each patient maintain optimal health. 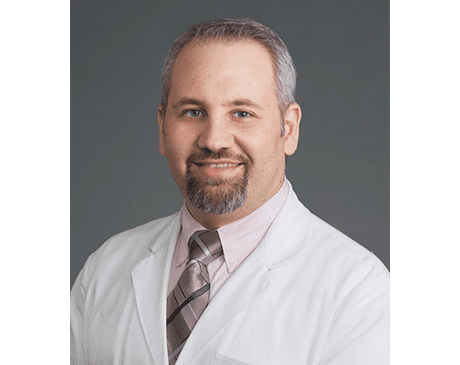 Dr. Al-Khoudari received his medical degree from the University of Damascus in Syria, then relocated to complete his internal medicine residency at the University of Toledo. He continued to pursue his chosen specialty by completing a rheumatology fellowship at Wake Forest University Baptist Medical Center in Winston-Salem, North Carolina. He’s board certified in internal medicine and rheumatology. When he started his medical career, Dr. Al-Khoudari practiced as a chief hospitalist at Three Rivers Medical Center in Grants Pass, Oregon. He also served as a staff hospitalist at Kadlec Regional Medical Center in Richland, Washington, before moving to Oklahoma to join the University of Oklahoma as an assistant professor in hospital medicine. While there, he graduated from the OU Leadership Academy Program. To be closer to family and friends, Dr. Al-Khoudari moved to Arizona, where he opened the Arizona Arthritis Clinic. He is proud to be an Arizona resident and excited to serve the community in the Valley of the Sun. At the end of 2017, Dr. Al-Khoudari became the vice chair for AURA (Arizona United Rheumatology Alliance) and will become the chair of AURA by the end of 2020. In May 2018, Dr. Al-Khoudari received the medical honoree Award for the Arthritis Foundation annual walk. We accept most public and private insurance plans. We also offer special pricing for cash-paying patients for most procedures. Please note that some carriers require a referral from PCP. Please call to confirm.